Talking with a friend a few days ago about retirement (loving it!) brought up the subject of the Florida retirement community The Villages, and how that kind of living holds no appeal for me. Perpetually, playing golf, cards, and various other ‘fun’ activities to take up time in retirement is not my thing. My friend pointed out how people in a similar, older Florida community near where she lives have developed a thriving metaphysical community in the midst of their retirement village. Good point! Still, the thought of homogenized living makes me feel claustrophobic. I like to see things out of the ordinary and not too predictable. 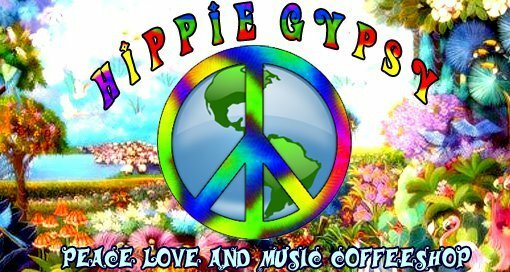 Where I currently live, I enjoy the experience of colorful Rastafarians, hippie coffee shops, and people of all races and persuasions, including roving bands of twenty-year old kids (we don’t live too far from UC Berkeley). I love the clatter and creativity of young kids in the home and neighborhood in which I live. My writing, dream and synchronicity work, and spirituality all thrive on such diversity. “One of the most pressing needs as human beings is to find meaning and purpose in life […] without it, life is no more than a random biological machine […] There is always the sense that there must be more to life than passing the time as pleasurable as possible, and that just beyond the horizon there is something more important and ultimately more satisfying, which all too often we fail to find. Modern research shows that the most affluent communities are far from being the most contented […] We need to look for a spiritual dimension for our fulfillment – to a deeper level of our being that contains the true secret of our identity” (pp. 15 and 16). Yes, it feels good to have my feelings vindicated! But, don’t get me wrong. I’m not denigrating the thoughts and feelings of those who choose a different lifestyle than that which works for me. As they say, and I do believe, different strokes for different blokes. Jenna, I'm so jealous that you live near UC Berkeley. It seems the perfect place for you or anyone whose mind thrives on the novelty and not the similitude of daily living. My older son was an undergraduate at Berkeley so I've been there and loved it! The homogenized retirement lot wouldn't work for me either. Life just gets more interesting all the time if your mind is open. My son graduated from UC Berkeley, too, Carole, and wound up getting a job here in East Bay. That's part of the reason I wound up here. That, and the fact that my daughter, son-in-law, and granddaughter lived here, too. Now I have two granddaughters here. I'm thankful every day that my children enticed me out here after my husband died…Along with loving being around my kids, their spouses, and grand kids, I love everything about Berkeley and feel that it is my spiritual and earth-centered home. Life is good. P.S. I really appreciate the fact that you take the time to post comments on my blog, Carole! I found your blog through a search on gypsy van. I wholeheartedly agree with your version of retirement. Live life to the fullest! Never leave Berkeley! It's where you belong and it doesn't get any better! P.S. I used to always have the feeling that “there had to be more than this.” But, now that I'm not working outside the home anymore, I'm doing just what I want to do: research, writing, and communing with like-minded people via the Internet. I feel like this life couldn't be any better!